We have experienced most of the region's offerings and can recommend Taupo attractions and activities that best suit your style. We can also make booking arrangements for you if you wish! Taupo boasts four golf courses, two of which have international acclaim! Lush forest and mountain ranges and panoramic lake views provide stunning backdrops to your game. Pure, clean, blue Lake Taupo (with her backdrop of volcanoes and mountains) provides endless beauty, adventure, relaxation and sightseeing. In winter and spring, you can ski or board the powdery slopes of an active volcano – the majestic Mount Ruapehu. One of the last-remaining and most productive wild trout fisheries on earth, Taupo's lake, rivers and streams are abundant with Rainbow and Brown Trout . See bubbling mud pools, boiling natural hot springs, gushing geysers and thunderous waterfalls. Jet Boating, Bungy Jumping, Sky Diving - Taupo has it all for adventure enthusiasts. 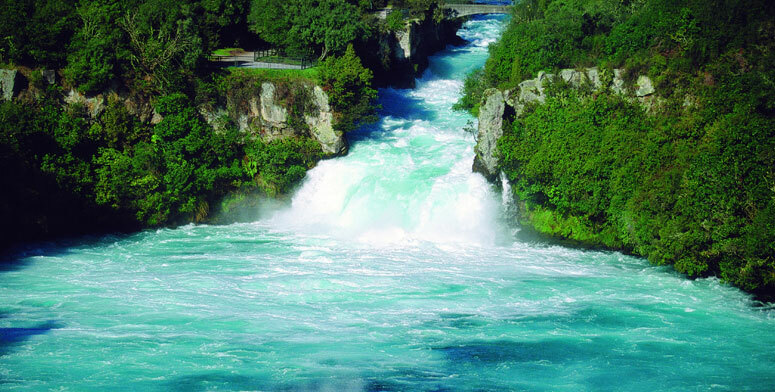 Taupo is a cosmopolitan town and as such you can expect an excellent variety of dining, art and cultural experiences. Experience the traditions and history of the Maori Culture (the indigenous people of New Zealand) in an area that has unique historical connections with the coming of the Maori and early European settlement. The Tongariro Alpine Crossing is rated as the best one day trek in New Zealand and listed by many in the top 10 day treks in the world. Taupo’s forests, rivers and lakes offer keen hunters the opportunity to “Fair Chase “ hunt wild deer, boar and turkeys in stunning scenic surroundings.